So it's approaching 3 years since I started my blog! I can't believe how far it's come and how time has flown by. I've had some people asking me how I started my blog so I thought I'd write something a little less dentally focused for a change and explain the 10 steps that helped me start my own blog. This is probably the most important part of starting a blog, but it can also be difficult. If you're wanting to attract people to reading your blog you need to find a USP (unique selling point). There is so much content on the internet, what will make you stand out? One thing is to actually blog about what you care about and are passionate about. If you are not passionate about dentistry then it will show through your posts. Whether you decide to blog about student life, life as an associate dentist, travelling tips for dentists, whatever it is you need to care about it. Think about it long and hard... and it may not come to you instantly. I noticed how there weren't any blogs really in the dental profession, especially young dentists' experiences. 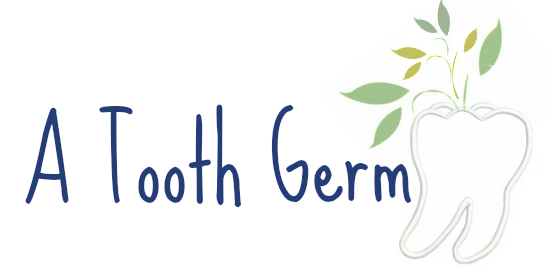 That's why I decided to start A Tooth Germ! I have written about my favourite dental blogs to follow previously, but don't just read dental blogs. 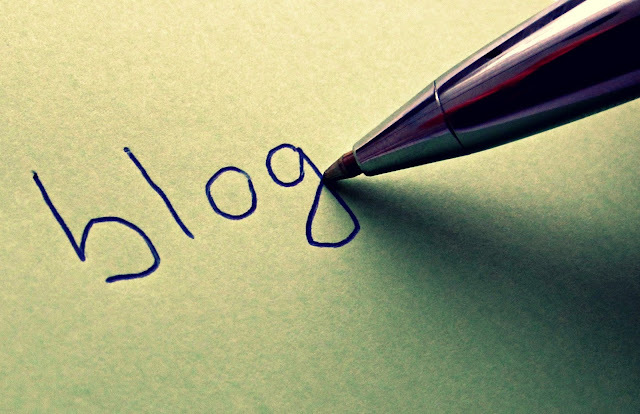 Think about other blogs that you may follow already. Why do you read them? What do you like about them? Think about how they are written, how long their blog posts are, how they have formatted their blog pages. For instance, I like short concise blogs with good quality photos. Write down all the things you see that you like and think about how you can emulate or even improve them when it comes to your own blog. This can either come naturally or can be very difficult. Many professionals just name their blog after themselves which can help if you want to build your own brand. This may feel like an Apprentice task but don't over complicate things. 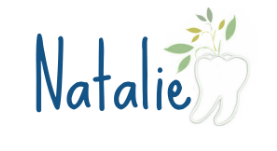 After you have chosen your name then you may want to think about a logo. There are so many companies out there that will design this for you if you like (relatively cheaply), but then you can just design your own if you are feeling creative. Be aware of copyright if you want to use a stock image. A good site I used to design my logo was PicMonkey. I use the Blogger platform as it integrates nicely with all my Google accounts and devices, but many people like to use Wordpress for their blogs. My experience of blogger is that it is relatively easy to use once you get the hang of things. The most time consuming element is setting up your blog and formatting it. Once that is set up, writing new posts is as straight forward as writing a word document. Some people prefer more of the freedom you can achieve with Wordpress as you can move gadgets and elements around your page more freely. I have never used Wordpress but now I know how Blogger works, I imagine if I switched it would be akin to switching to an Iphone rather than my trusty old Android phone. It can take months or even years to build up a blog. Start small, a few posts at a time and add elements in as you go along. A lot will be trial and error: remember big sites like Facebook and Instagram were pretty simple when they started and they still change and upgrade things as they go. Your blog will evolve and develop as time goes on... don't waste your time building up all the content and waiting to go live. Blogs are never stand alone any more. They are always linked closely with other social media for example, Instagram, Facebook, Twitter. Create separate pages for your blog if you want to keep it separate from your personal accounts e.g. a page on Facebook or a stand alone Twitter account. Also consider other social media e.g. Pinterest, LinkedIn and Dental social media sites like Denteez, Dental Circle or Dentinal Tubules. If you didn't know before, a widget is an application or component of an interface that enables users to perform a function. Think about any shortcuts you may have for apps on your phone or tablet. For blogs and webpages, widgets can be really useful. You can use them to show links to your social media e.g. the feed from your Twitter page. You can also use widgets to help increase your clicks within your blog e.g. most popular posts or related posts. You may be aware of widgets you like from looking at other blogs as I mentioned above. Don't expect your blog to be an overnight success. Your only readers may be your close family and friends initially (my mum doesn't even read mine anymore!) but it will take time to build your audience. You will put a lot of hours and effort into your blog initially, but over time you will become more efficient with your blogging and hopefully your audience will grow over time. Be careful not to troll your social media with your new blogs every 5 minutes; it can be very tempting so you can see those page visits increase, but over time people will become annoyed and unfollow you. Be selective and think of your audience. Again another technical word, but with blogging you will lots of things about technology and maybe even some coding! Domain is essentially buying the name of your website. You don't have to do this, in fact I only bought my own domain recently. If you choose not to, your website will have a suffix in its address e.g. yourblog.blogspot.co.uk. If you just want the name of your blog without this suffix you will need to buy a domain. They are relatively cheap around £10 a year or so and I bought mine through Google. Starting a blog can be very time consuming! As I just mentioned, setting it up is probably the most time consuming part. I set my blog up in the summer between graduating and starting my first job so I had plenty of time on my hands. But once you've set up your blog, you then need to find the time to actually write your posts! Not only that, but dedicate time to social media and ongoing maintenance and improvement of your site. It can be good to set aside a certain time per week to blog. Be realistic with your time. The first year of me blogging I thought I could bash out 2 blogs a week. Now on average it's around 1 a week. This means that I can spend more time on each post so they are of better quality and also not impact on my other activities and commitments during the week. Realistically, people are not going to read your blog more than this. Sorry for the cliche, but remember quality not quantity! Good luck to anyone who is looking to start their own blog and I hope you have found this post helpful! Remember that nothing is perfect, in fact I still look at my own blog and think I can tweek this or that and make it better. Blogs are supposed to be informal... you're not writing an academic essay or anything. Keep practising and keep going!!! Have you started a blog? What would your top tips be to those looking to start one? Leave your tips in the comments below.